Everybody know Central Park in New York, Get Americas reveal you its little secrets, sometimes unknown from general public for a different walk. 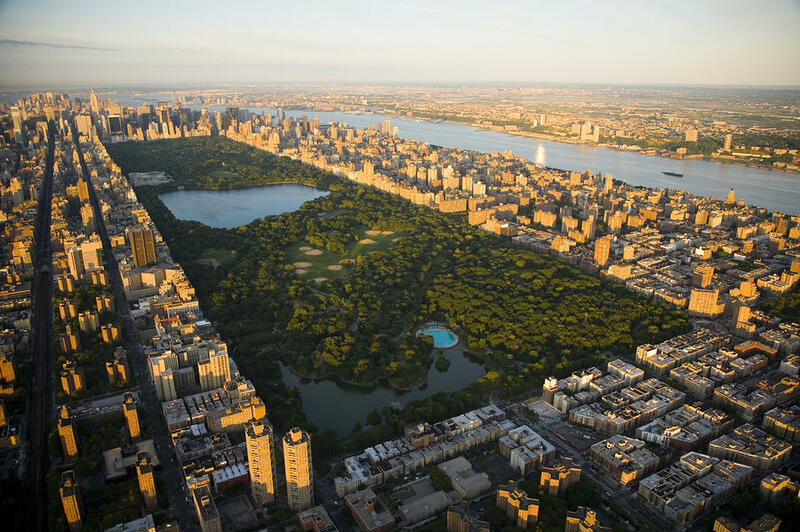 The 341 hectares of Central Park were conceived during 15 long years by the Man, which makes it the first american park completely conceived. It counts on his own 25 000 trees, 36 little bridges and 9 000 benches. The biggest of the glaciers, the Wisconsin Glacier was in Central Park 12 000 years ago, because indeed at this time, the park was ice-covered. Until 1934, we could again cross sheep having a walk through the park, hence the nickname “Sheap Weadow”. Otherwise, the beautiful grass from this day, “The Great Lawn”, wasn’t previously visible because it was submerged by water having served to supply New York few years ago. In Central Park, we found about thirty sculptures representing poets, writers and fictitious characters, but also the famous Metropolitan Museum of Art containing 2 millions of works of art. We can say that the park abound in cultural treasures. Now, will you pay a bigger attention on these works? Central Park is a real star, he made its appearance in more than 240 movies since 1908, which makes it the park the most filmed to the world. It’s also in this park that in 1997 took place one of the concerts the most followed to the world of the country singer Garth Brooks with a public of 980 000 person. Also in touch with animals, few years ago Central Park welcomed the polar bear Gus, the first bear in captivity to have been put under prozac. On the contrary of this impressive animal, in 2002 we discovered that park sheltered one of the smallest centipedes of the world, measuring approximately 12 millimeters. We say of these 1 600 street lamps of the park that they are only here to light at nightfall, but at the risk of surprising you, in the day they are used to a quite different thing. Difficult to find itself in this gigantic park isn’t it? If you don’t know where you are, look at the street lamps, the first 2 numbers indicate the number of the closest street, the other 2 numbers refer to the orientation : the East (even numbers) or West (odd numbers). From april to october, you will have the possibility to share a fishing trip at Harlem Meer. For it, nothing more simple, enroll you at the Charles A. Dana Discovery Center, a fishing rod will be freely lent to you. But watch out ! Don’t count on your fishing to make your meal, because the captures must be released. And now, will you have a walk in Central Park with the same look as before?